One of the hardest aspects of car ownership involves finding a shop that provides quality service. Because let’s face it — at some point every car ends up needing repair or maintenance, so you might as well find a place that takes the stress out of the process. 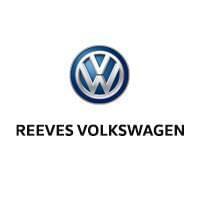 That’s Reeves Volkswagen, the #1 provider of VW repairs in Tampa. At Reeves Volkswagen, we’ve built an expert team of highly trained technicians who provide unrivaled VW repairs. Not only do they make sure that your repairs are performed accurately, but they are dedicated to completing them quickly and efficiently so that you can get back on the road fast. We even save you money by offering some of the best VW service specials that you’ll find anywhere in the region. Ready to experience the best VW repair and maintenance that you’ll find anywhere in the Tampa region? Visit Reeves Volkswagen today, and find out how we take service to the next level. Use our convenient online form to schedule your service today, or call Reeves Volkswagen at (888) 429-5361.